Hungry for more than headlines and short soundbites about our community? Watch Columbus On The Record for in-depth, thoughtful, and balanced analysis of the issues and stories affecting Columbus and Central Ohio. Mike Thompson, WOSU's news and public affairs director, moderates the program that features well-respected journalists and veteran political observers offering insight and analysis of the top stories of the week. 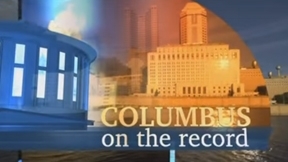 In addition to featuring well-known journalists, Columbus On The Record will present panelists from outside the mainstream.